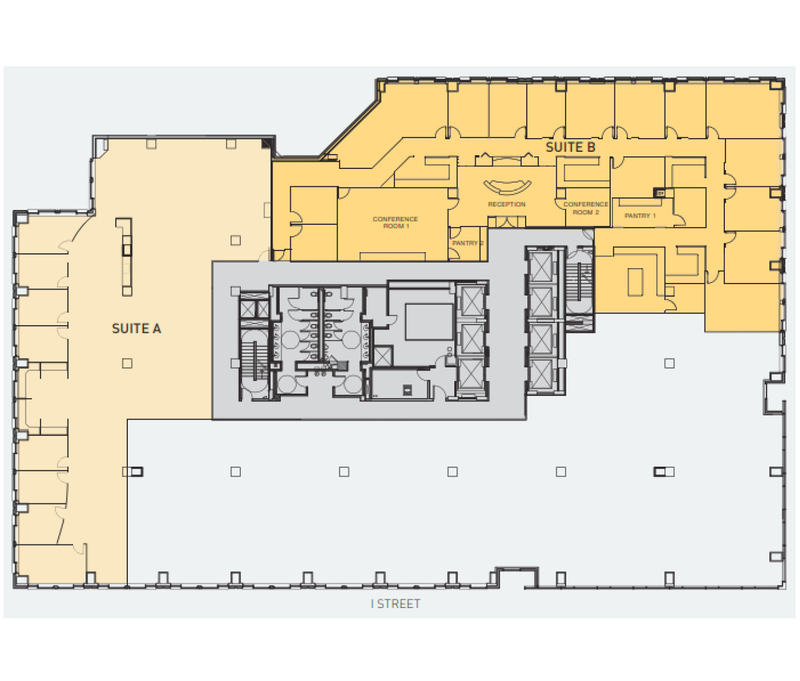 900 Seventh Street is a stunning 11-story, 327,911 square foot office building in the heart of DC's East End, steps from Gallery Place, the Washington Convention Center, and numerous cultural and retail amenities. Akridge developed the project in 2004, in partnership with the National Electrical Benefit Fund (NEBF) and Corus Bank, to serve as the new headquarters for The International Brotherhood of Electrical Workers (IBEW). Built by Washington's best union craftsmen, 900 Seventh Street demonstrates Akridge's relentless pursuit of top quality construction and attention to Client comfort, convenience, and service. Building architect HOK's contemporary design incorporates a stunning exterior of precast concrete panels and a glass curtain wall offering panoramic views of Washington's skyline, with a striking interior of wood, glass, and metal trim. 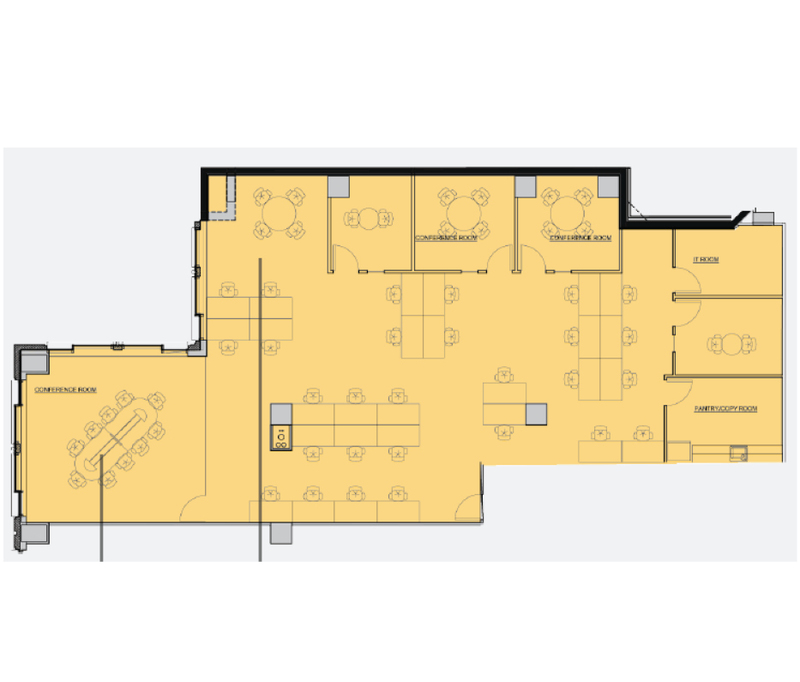 Akridge continues to provide leasing and property management services to IBEW at 900 Seventh Street, where other building Clients include PG&E Corporation, as well as Ping Pong Dim Sum and Del Campo. 900 Seventh Street has achieved the BOMA 360 Performance designation for meeting and exceeding best practices and operating to the highest standards of excellence. The USGBC National Capital Region Chapter also recognized 900 Seventh Street with its 2014 Project of the Year, Existing Buildings Operations and Maintenance Award. 900 Seventh Street is LEED Silver certified and is an EPA ENERGY STAR labeled property. To advise us of service requests, Clients may email service900@akridge.com or simply call us at 202.638.3000 to receive a prompt and courteous response to any building need. A comprehensive guide to your building's operations,Beneath the Surface includes information on everything from how to access after-hours HVAC to emergency procedures and holiday closures. 900 Seventh Street is electronically monitored by Kastle Systems, Inc. For more information on Kastle, visit www.kastle.com or call 703.524.7911. Parking is provided by InterPark, and is available 24 hours per day, seven days a week. For information, call 202.589.0430. IBEW Headquarters offers buillding Clients a number of amenties, including conference facilities, a landscaped roof deck with entertainment space, and a fitness facility. 900 Seventh Street is an EPA ENERGY STAR labeled property.